Individual Solutions Taxes represent one of the two inevitables. Keeping individual and business clients from being "taxed to death" is one of Max Kleynburd & Co.'s most important roles. Our commitment is two-fold: to offer clients the highest quality of professional and technically innovative advice in a timely manner and, at the same time, to build and maintain close client relationships. Tax Preparation For many people, preparation of annual tax returns represents their only accounting service. Often, we find that such people are cheating themselves. With professional planning assistance during the year, they may reduce their tax liability considerably. Tax preparation should be just one aspect of an effective tax program. 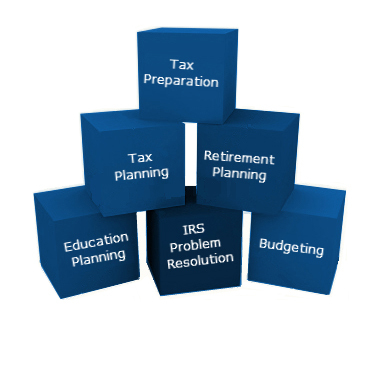 Tax Planning Minimizing your tax liability begins with a professionally prepared tax plan. Your tax plan, however, is not a document to be put away and never looked at. Rather, it is dynamic and should be reviewed and updated on a regular, scheduled basis. We believe that tax preparation and planning is an ongoing process, not just once a year. Your personal or business financial situation may change regularly, and tax laws are always changing, requiring periodic adjustments to your tax plan. Retirement Planning Each retirement plan has a different impact for the participant (employee) or sponsor (employer). Max Kleynburd & Co. works with clients to structure plans so they provide maximum advantages for both parties. Our team will help you understand your options and how to maximize your retirement funds with the most tax-favorable treatment. Education Planning New tax regulations have granted the ability for individuals to fund higher education using tax-advantageous means. For most taxpayers, options to consider include state 529 plans, education IRAs, and numerous available tax credits. Budgeting and Financial Planning Our team will devise a financial blueprint to enable you to realize your personal and professional goals. From expense management to the identification of cost-savings opportunities, we will help you keep more of what you earn.